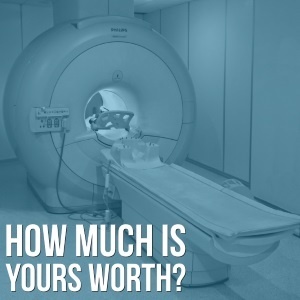 Have you found yourself asking “How much is my MRI machine worth?” lately? In today’s secondary market, Imaging equipment in general, and MRI Machines specifically, can range wildly in value. If you have a system for sale, or are considering upgrading in the next 3-6 months, you owe it to yourself to get a read on today’s market value. This is a simple process and if you have the right information at hand there are free market valuation resources out there (Block Imaging is one) that can value your system quickly, accurately, and at no charge. The following are the pieces of information that drive the value of an MRI machine on the secondary market. Gather these details to maximize offers on your system. To check out systems you might upgrade to, browse our inventory of MRI systems here. Keep in mind, it’s a global marketplace – older systems that might not be interesting to buyers in the USA or Europe can and do have value elsewhere, but the year of manufacture does make a difference. If you are asking for a value for your equipment, please know the year it was manufactured (not just the year of installation or the year you bought it). You can usually get this information right off the back of the gantry or if you’re adventuresome and want to remove the cover (have someone help you), it is stamped right on the magnet itself. And while you’re under the hood, you may as well check the age of the coldhead. In the USA and other developed countries, there is always competition up the street and marketing can make a difference. Having said that, from a “magnet” perspective, 1.5 Tesla is still king and 1.5T MRI’s constitute the vast majority of all pre-owned MRI machines sold worldwide. The difference maker from a power standpoint is the gradients. Know your gradient amplitude (in mT/m) and the slew rate (in mT/m/ms). Buzzwords like “Echospeed” (GE), “Quantum” (Siemens), and “Nova” (Philips) are difference makers, so be sure to include them as well. Got some MRI coils that are outside the standard set? Breast, Cardiac, Angio, and Neurovascular can make a difference to potential buyers and can enhance the value of your system. Don’t just list the coils from the invoice or original quote – it is recommended that you do a physical check or verify with the MRI tech to make sure the list is 100% accurate. It saves headaches later if an inspection identifies missing or broken coils. If you have 8-channel coils (or greater) please note that. Knowing the current system operating software not only brings you a higher selling price, it could save the potential buyer LOTS of money in upgrade costs. It also confirms that the system is, well… current. If you don’t know this off-hand it will typically show up on your screen during boot-up. While you’re in your settings or service menu, click on the “options” tab to view and photograph the list of all the current enabled software options. Buzzwords like “EXCITE” (GE), “TIM” (Siemens), and “Achieva” (Philips) all make a difference in value and should be listed as well. Don’t forget to list processing workstations like AWW or Leonardo if you are including them. Part of determining what a buyer will pay for your system involves determining how much they will need to spend to get it out of your facility and into theirs. If there are any complicated particulars in getting your system out you can expect a lower offer to offset the extra costs the buyer will need to pay for logistics. For example, rigging will cost much less to get an MRI scanner out of a ground floor scan suite than to cut open a second floor wall and lower one down to the ground on a crane. To help make sure there are no surprises for you or your buyer, be sure to photograph the most likely path of exit for the scanner and include that when you submit your details for valuation. That’s it! That’s enough information to get a great read on the market value of your system and answer the question How Much is My MRI Worth? While you're gathering all this, be sure to get out your smartphone and take some pictures of the system too. A solid visual impression of the system's condition can also have an effect on your system's value. No one who plays daily in the secondary market lives in a vacuum. In today’s flat world, no one “steals” anything, information flows freely, and it’s a relatively small community. If you’re dealing with a reputable company you can usually assume the values you’re getting are in line with the market. You might be pleasantly surprised. If you're interested in answering the question "How Much is My MRI Worth? ", feel free to submit your request for a free market valuation. We'd be glad to help!